Beaverdale Books, Des Moines, IA. 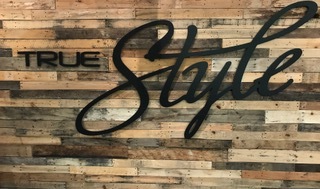 True Style, East Village, Downtown Des Moines, IA. Mystery to Me, Madison, WI. Lakeside Street Coffee House, Madison, WI. Madison Modern Market, Madison, WI. A Room of One's Own, Madison, WI. Color House Graphics, Grand Rapids, MI. Dekker Book Binding, Wyoming, MI. View a video of the production of our book.